In 1975 a college friend, Brian Lloyd, persuaded me to go potholing at Gaping Gill in the Dales. As a claustrophobic, I was terrified at the prospect and regretted every second of the initial descent through the confined, dark caves. Eventually we entered the massive main cavern with the light streaming in from above and I experienced the pure elation of overcoming long held personal fears. recently Brian sent me some photographs of early morning at gaping Gill which recalled this personal breakthrough as vividly as if it were yesterday. I have machine p[pieced the main body of the work, which is made of commercial hand dyed fabrics. the top has some raw edge applique. 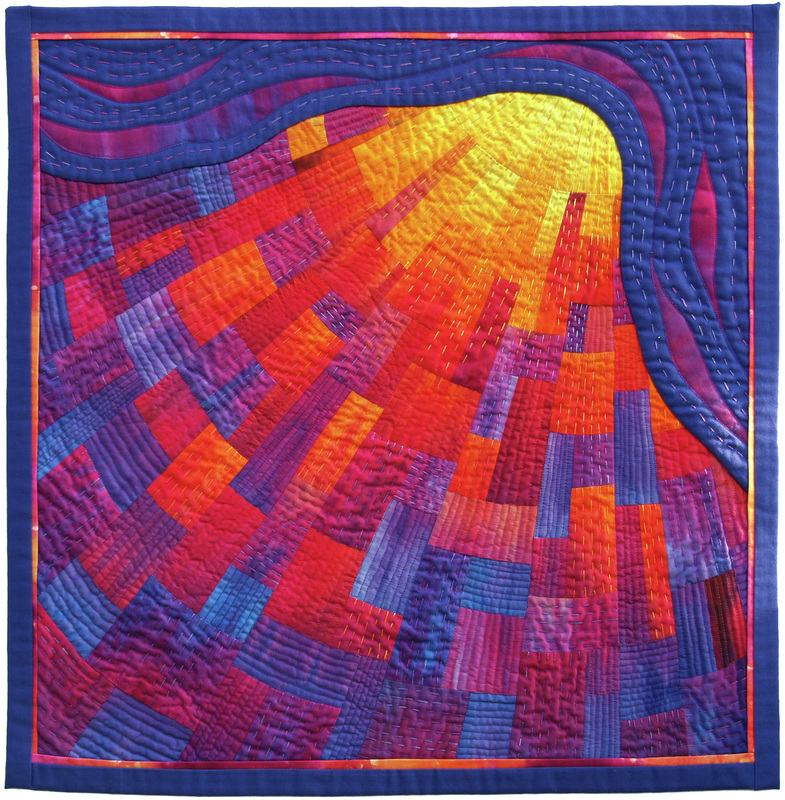 I have mainly hand quilted with variegated silks and machine quilted with rayon thread.